Large Dinosaur bones skeleton model. T-rex plastic bones skeleton kit is a perfect for dinosaur Dig party! Just imagine the smile on your boy's face when he discover T-rex fossil bones at your backyard sand box. 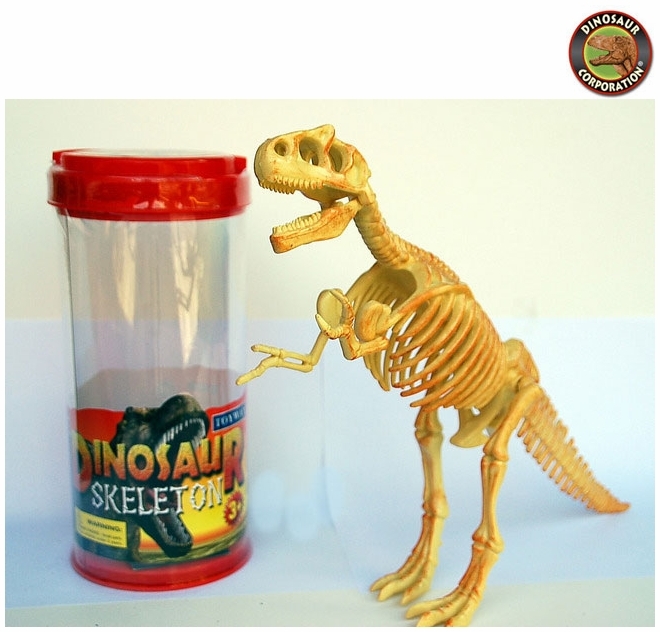 A perfect educational toy dinosaur skeleton for kids interested in prehistoric times! * Easy to snap the individual bones together to have dinosaur skeletons for decoration in your dinosaur room.